In the 1950s, 400–500 Americans died every year from measles and another 100 from chicken pox. In the last major outbreak of rubella — in 1964–65 — some 11,000 pregnant American women lost their babies and 2,100 newborns died. The 1960s vaccine revolution all but wiped out these diseases by 2000. But now they are back — in the U.S. and around the world. Much onus for this regression so far has been laid on the global anti-vaccination movement. But experts blame much more sweeping reasons — primarily a tectonic change in how humans live now as opposed to three, four and five decades ago. At the top of the list: We are living closer together in ever-swelling cities, trading and traveling much more, creating climate change, migrating in big numbers — and failing to keep vaccination levels high enough for "herd immunity." 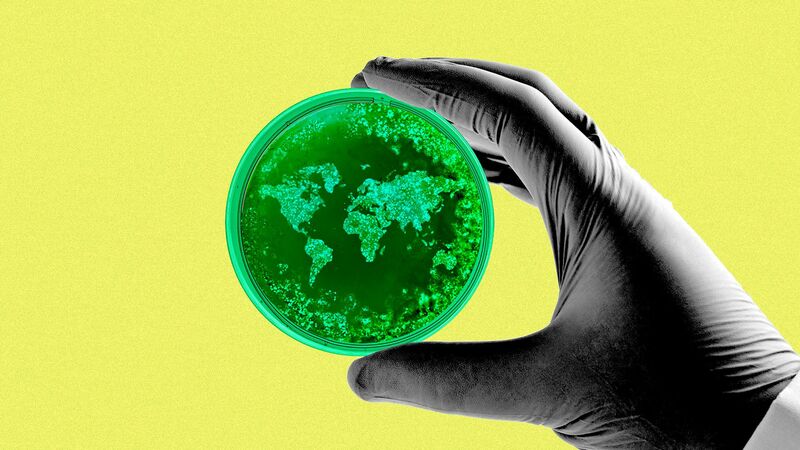 "What changed is that society changed," Jeremy Farrar, an expert on infectious disease and director of the U.K.-based Wellcome Trust, tells Axios. Driving the news: Disease was under control for a few decades, but now the environmental circumstances under which they were contained have utterly changed. So new answers have to be found. The big picture: For 2019, U.S. officials have confirmed 481 measles cases in 16 states as of Saturday, according to the website Precision Vaccinations. The Centers for Disease Control confirms 151 cases of mumps for January and February in 30 states and the District of Columbia. And Kentucky alone has an outbreak of 32 cases of chickenpox as of last week. Europe, too, has had a surge of mumps, pertussis, rubella and tetanus over the last two years, reports the World Health Organization. Measles killed 72 people in Europe last year, according to the agency. In the U.S., the outbreaks are often concentrated in tight-knit communities like former Soviet immigrants in Clark County, Washington. Three states — New York, Texas and Washington — are the "leading measles hot-spots" in the U.S., per Precision Vaccinations. The diseases are often brought into these communities by travelers returning from countries like Israel, Madagascar, the Philippines and Ukraine. But the revival of these once-unavoidable, disfiguring and sometimes deadly diseases is only part of the new age of epidemics. They are a component of the general breakdown of the decades-old political and social order. This is particularly apparent in the anti-vaccination movement, what has been rebranded "vaccine hesitancy." "People wonder, 'Why am I still getting vaccinated if disease no longer exists?' It's not a stupid question," Farrar said. What's next: Farrar is pressing for governments to create a commercial impetus for companies to figure out how to navigate the new age. But to get started, says Peter Hotez, dean at Baylor College of Medicine and author of “Vaccines Did Not Cause Rachel’s Autism,” they need to separate out the various factors. Malaria in Greece and Italy have been blamed on climate change, but Hotez says human migration and re-emerging poverty may also be at fault. In Texas, the appearance of Zika and dengue may be attributable to any or all of the same factors. "We don't know," he said. Once crowdsourced for pennies on platforms like Amazon Mechanical Turk, labeling data for AI is swiftly becoming a hugely lucrative market — with much of the work done in places with cheap labor like China, India and Malaysia. Kaveh writes: It's a necessary step for algorithms that learn from enormous troves of examples. A system that's seen a million cat photos, hand labeled as such, will be able to identify the million-and-first. Details: The global market for AI data labeling is predicted to explode from $150 million in 2018 to more than $1 billion by the end of 2023, according to research company Cognilytica. It's tedious work: Imagine spending all day at a screen just highlighting stop signs in images taken by autonomous vehicles. Workers abroad who label data for Alegion, a Texas-based crowdsourcing platform, earn between $3 and $6 an hour, Alegion CEO Nathaniel Gates told IEEE Spectrum. But it's pitched as an economic boost for rural areas, because the work can employ large numbers of people without much formal education. For a driverless car, "one hour of video data can lead up to 800 man-hours of work,” Siddharth Mall, co-founder of data-labeling outfit Playment, told India's Factor Daily. 7 of the top-10 world's busiest ports are in China, led by Shanghai, according to 2016 data from the World Shipping Council (h/t World Economic Forum and Visual Capitalist). The circles blooming and shrinking in the clip above are part of a new robotics system developed at MIT, Columbia, Cornell and Harvard. Kaveh writes: Each individual "particle" is extremely simple. It can only expand and contract, and it is ringed by magnets so it can grab onto its neighbors. They don't communicate with each other — only with a central hub. But their combined work can move a mass of connected particles toward a goal. The agglomeration can transport objects placed in their midst and squeeze through small gaps, changing the shape of their overall "body" as needed. Together, they can move even when many of the individual particles malfunction. The particle robotics system is a departure from traditional robots, where a part failure generally breaks the entire thing. Instead, it's inspired by biological cells. “The robot by itself is static, but when it connects with other robot particles, all of a sudden the robot collective can explore the world and control more complex actions," MIT roboticist Daniela Rus told MIT News.